I didn't realize that this was going to be the 200th cartoon of this project until after I had drawn and uploaded it. 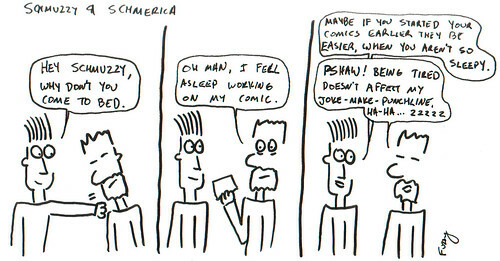 It's probably appropriate that it's a joke about how all my jokes are lame since I draw my comics late at night, half-asleep. It's (un)funny because it's true.